I have been using dnsmasq as a proxyDHCP server on a linux VM for quite sometime. It has always worked great for all my PXE boot needs. This setup is being replaced by Windows Deployment Services running on 2012r2 (also a VM, running on the same server). I noticed when I boot to WDS, the initial PXE screen no longer indicates that it received its boot information from a Proxy. This is a large corporate network. No boot options are specified by the primary DHCP server. Proxy mode has always been indicated in Hyper-V, Virtual Box and almost every physical system I have PXE Booted from my old server. WDS seems to be working fine, but does not indicate it is running in proxy mode. Does anybody have any insight into how WDS handles PXE booting? If it isn't operating as a proxyDHCP server, how does it work? 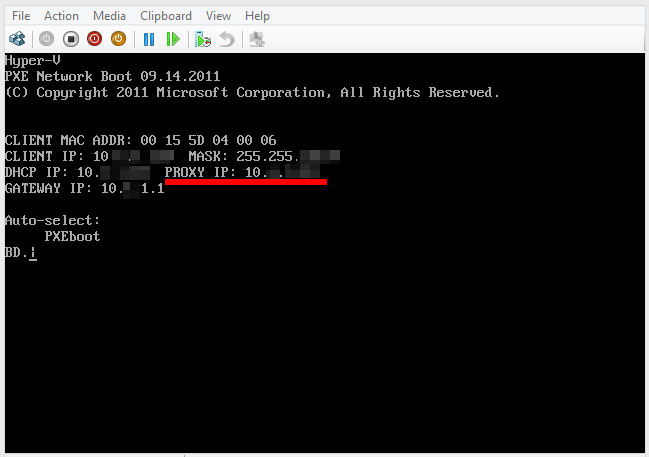 If it is running as a proxyDHCP server, why it that not indicated when booting like it is with other software? Edited by ClueFace, 05 September 2014 - 03:16 AM. 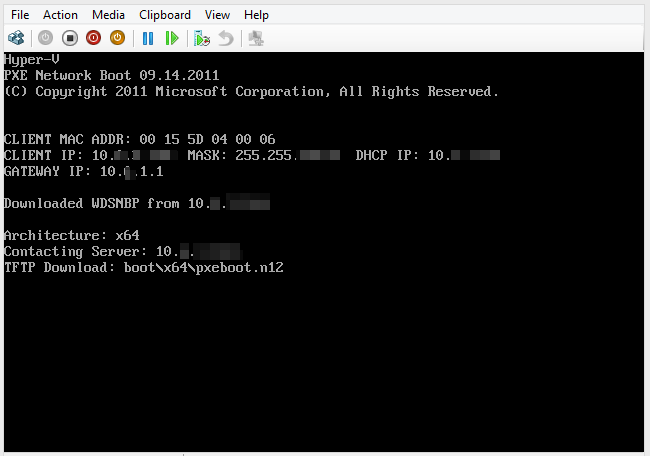 Yes, WDS/SCCM can use proxyDHCP or DHCP Referrals with option 66 and 67 to enable PXE booting. Although there are not many references to 'proxyDHCP' in the WDS interface, if you use iPXE and load its configuration page you can see what data was received from both DHCP and proxy sources. As for your screenshots, I am guessing the difference is related to the use of 'PXE Menus' which dnsmasq uses in proxy mode, vs the next-server and filename options that WDS sends to proxyDHCP clients.